So, the new tablet by Microsoft called the Microsoft Surface Tablet for windows RT is a breathtaking specimen of both design and technology. Whoever said Microsoft was boring before in terms of design needs to take a look at this and take their words right back. However, fair warning, those who can’t appreciate the artistic elegance of the device would be wasting their time. If you’re a conventional techie, maybe you should take a few art classes before being able to appreciate the dazzle of the device. The tablet is made especially for Windows 8, which means, you guessed it, that it won’t be hitting the market or your hands any time before the release of Windows 8. It does, however, run Windows RT well and is sporting very good specs. Let’s start with a description of what it looks like. It has a magnesium chassis, vapour deposition coating, fresh sharp edges, and comes in some great colors. Magnesium is the theme plating this time since the cases for the cameras, stereo speakers, and microphones are all cased in an alloy of it. As a tablet should be, it’s thin and easy to carry. The display measures a good 10.6 inches but not to worry, it’s not all screen. The edges have about half an inch of the bezel which allows enough room to hold the tablet without fingerprinting the screen. For the tech savvy, who are actually interested in the tech of it all, the specs aren’t bad at all. It weighs in at about 676 grams and about 9.3mm thick. The display is ClearType HD. Battery power is good with a MicroUSD slot, USB 2.0, Micro HD Video and 2x2MIMO antenna for WiFi. Though admittedly, there are a significantly less number of ports. The processor has not been disclosed yet but chances of it being a Tegra 3 are pretty high. As far as hardware is concerned, Microsoft, usually nonchalant when it comes to this sort of stuff. But this time around, we can discern how the company took a step in and attempted to fix things of its own accord and not just leave things to OEMS (original Eqipment Manufacturers). This is the explanation of why Surface is a tangent off the previous devices. The hardware changes Microsoft has brought about aren’t available anywhere else. They are designed specifically for the tablet and thus are unlikely to be seen on an Android tablet anytime soon. Think of it as a textile designer finally breaking out of the mold and creating the final product themselves, instead of handing it over to the tailor or seamstress. Definitely a bold step on Microsoft’s part. Let’s see how far it goes. The cover serves two purposes; it works as a screen cover and a touch keyboard that attaches itself using magnetic technology. For those who don’t want the touch type, a conventional keyboard/cover is available too but it will be a bit heavier (5 mm instead of 3mm) then the touch one. The attachable covers come in 5 colors (pink, white, red, blue, and black). Everything about it screams portable and trendy. The chicness of the touchpads are enough to get anyone worked up into a frenzy of excitement (well, the women for sure at least). From checking out what Microsoft came up with, it is fair to say that those who like their devices to be funky and bright will have a blast. People are finding themselves attracted to the tablet not because it has some amazing way to dispel computer monitoring software or a keyboard that no keylogger app can dig itself into. Instead, the colors, the cuts, the flair is hypnotizing people into the tablet experience. Microsoft hasn’t done anything that a French fashion designer wouldn’t. Of course, you need some aesthetics to be able to appreciate that fully. Have you ever thought how you will react if physical buttons simply appeared on your touchscreen devices from nowhere. You will definitely be surprised to find the screen inflated with buttons – something that is not normally associated with touchscreen devices. If you want to check out home phone and internet packages to find the ones that best suit your needs, you will also be interested in knowing the devices that you can use to access the internet. Touchscreen devices have become quite popular recently. There are a number of tablets, eBook readers and mobile devices you can choose from. You can send text messages and even dial numbers on a touchscreen mobile device the same way as you do using your normal cell phone. Although touchscreen devices have no buttons, you can still do all the functions without difficulty. 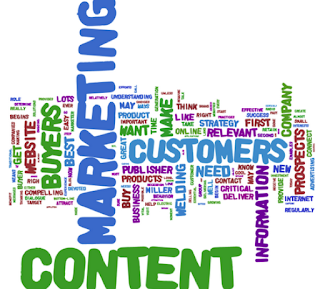 This concept however is going to be changed by Tactus Technology – a company based in California. The latest technology introduced by this company allows physical buttons to appear on the touchscreen devices as and when needed. If you need to use your device to text or dial your friend, the special Tactile Layer will help the buttons appear on the screen. This technology is magical in the sense that the buttons will only appear for the time you are actually using the device. Once you finish your work and your device is no longer in use, the buttons will disappear or go back inside the device. This concept can be used on a variety of touchscreen devices including mobile devices, tablets and eBook readers. A decade back, no one ever imagined that devices can work without physical buttons. The arrival of touchscreen devices did change this perception and there are people who still miss the physical buttons. They would love to see the raised buttons on their favorite touchscreen devices in the future. As mentioned earlier, this wish will be fulfilled by the innovative technology launched by Tactus Technology. If you feel your fingers are too big and cause problems when you use the touchscreen, you will have to wait to get your hands on a touchscreen device that has buttons and dials. 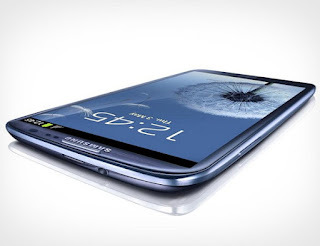 This technology will definitely make your device much easier to navigate and use. The best thing about this new technology is the fact that the physical buttons don’t leave behind marks or traces after they disappear from the screen. Technically, you will think that there must be marks or indications on your touchscreen device to highlight areas where buttons had appeared earlier. 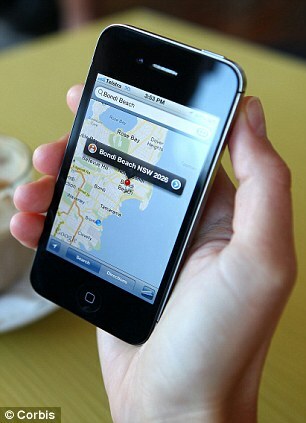 But the recent display of this new technology showed that the buttons leave no traces after they go back in the device. This feature is mainly due to the use of microfluidic technology. The buttons that appear on your device will give you the same experience as if you were using a keyboard for the same task. What more will this technology offer? While the concept is still in its early phase, there are endless options when it comes to deciding the applications that will benefit with the use of this technology. This concept can be used in Smartphones, remote controls, medical devices, navigation equipment, gaming devices, laptops, eBook readers and automobile displays. A large number of complex equipments used in the industries can also benefit from this latest technology. Majority of internet users are interested to check out home phone and internet packagesand prefer to use a device that gives them good visual experience every time they use the web. Although touchscreen devices give you an enriched web experience, your experience can be messed up if the device is touched at the wrong place. Most users also complain that the touchscreen devices don’t give them a tactile experience that increases the chances of making a mistake. You’ll only wish that there was a touchscreen with sleek buttons, so that you can rest your fingers on top of it. If you are looking for an innovative solution that can resolve all your issues related to the absence of physical buttons on touchscreen devices, you have to check out the groundbreaking concept launched by Tactus Technology. Once integrated into a device, this technology will make sure you never sacrifice on the tactile experience again. Free cloud based services are rare to find, but they are not non-existent. The paid cloud services can be quite expensive, especially if we are not using the all the features that they are providing and the data that we are storing in the cloud is not too much. 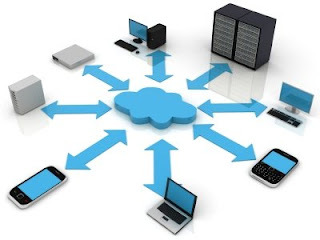 If you are looking for a free cloud service and have not been able to fine a single one yet, then you need not panic, as here is a list of the top 5 cloud based services that are free to use. Take a look at them and you can use them for storing your data. This is a service that has been started by the Amazon to entice people to use their other services. The services are rendered free of cost for one complete year and among the loads of other things that you get free of cost with this service, the 30GB internet data transfer and the 5GB Amazon S3 storage are the most enticing. After you have used the service for a year and you wish to continue with it, you need to pay a nominal fee. Microsoft is not far behind when it comes to cloud storage and this service is one of the best that is present in the market. The user has the freedom to store data upto 25GB free of cost and that is a colossal space for storage. The user interface is friendly and interactive and the file saving method is exceedingly simple. This is another site that enables free cloud storage and it is impeccable. There is a Free Lite version that is present that enables you to send files that are upto 100MB to whomsoever you like and I feel that, this is more that anyone can ask for. If you want to send files that are larger than this, then you need to have a Pro account, which is a paid account. That will enable you to send files that are as large as 2GB in one go. This list is incomplete without Google Apps. The service is simple, easy to use and most importantly, you need not pay a penny for it. 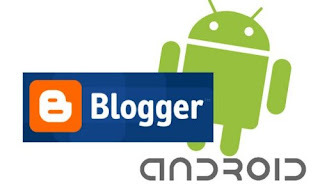 There is everything that you need in the form of these Google Apps and once you have made use of the apps you will realize that you cannot really do without them. There are documents, tables, spreadsheets, pictures etc that you can share with the service. This service is distinct from the others as you get a free online system complete with a virtual desktop with it. There are a variety of things that you can do and the most outstanding of them all is the free online cloud storage. You can create all your documents and files with the help of the tools that are provided by the service and then store in the same place. These are the top 5 cloud based services that are free for use. There are paid accounts for all these services as well, but you will need them only in case you require a huge amount of space for data storage, which is unlikely. When you want to hold an online meeting or a web conference, you need business tools that will let aid you in your task rather than frustrate you. These 10 will help you get the job done without a hitch. You can run any of these using internet dongles. 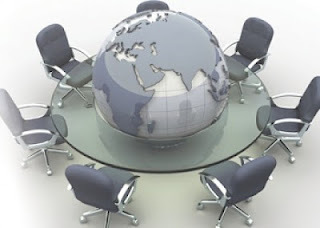 Infinite Conferencing is an incredible tool that allows you to host a web conference instantly. You can also log into the meeting room early and prepare for the meeting beforehand. This ensures that everything goes according to plan and that there are no hiccups when the meeting takes place. Using Infinite Conferencing, you can invite up to 1000 attendants with a simple email. One great feature in Infinite Conferencing is the record tool. You can easily record your conference, allowing those who missed the meeting to watch it. In all honesty, InterCall is quite an impressive program with a plethora of features. You can set up demos, quickly configure the software, use instant messaging, invite people on the fly and create an instant conference. Best of all, the program is mobile, allowing up to 124 attendants to join in from their smartphones. ClickMeeting is a powerful program that allows you to host a web conference with up to 1000 people. Not only can you set up a conference with your employees, you can have a web conference with those not employed by your company. The interface is exceptionally easy to use and well laid out. Best of all, the program can be bought for $8. Adobe Connect Pro is a great program that allows for fluid web conferencing and online meetings. Security is one problem that many online meeting and web conferencing tools face. However, one of the best things about Adobe Connect Pro is that the program is exceptionally secure. You can share the contents of your screen and even files without worrying about intrusions. MegaMeeting takes online meetings to new levels. The best feature this program offers is that it is a browser-based program. No user has to download the program and spend time configuring it just to have a meeting. This lets the host of the meeting or conference to quickly create and host the meeting with virtually anyone. WebConCentral is one of the most secure web conferencing tools available in the market today. This program is even used by government due to its effective security. Furthermore, the program can handle up to 35 people (including video streams) without a problem. The built-in messenger program allows attendants to chat (when allowed). Your chat can even be made private, allowing you to talk to another attendant without worrying about other people viewing the message. GoToMeeting is a simple web conferencing and online meeting program that allows you to create meetings in literally the blink of an eye. The program is straightforward and simple to use. This is a huge advantage if you need to set up an emergency meeting. Joining the conference is even easier. Microsoft is a name that practically everyone knows about. Microsoft has now expanded its reach into web conferencing. Although Microsoft Office 365 lacks a few features, it is very powerful. Above all, the program is very simple to use, offering an interface that is one of the simplest ever. WebEx is an online meeting and web conferencing program designed by Cisco. To put it simply, the features are rich and intuitive, the interface is well designed and the features are ever increasing. Best of all, the meetings can be recorded and sent to employees who missed the meeting. Additionally, you can even send documents to your attendants in real-time. FUZE Meeting is a very simple web conferencing tool that allows you to host and join a web conference from practically any device. This is because the program is browser based. All you and your attendants have to do is go to the site and start conferencing. Application development for the iPhone is becoming a tried and tested method for gaining a lead over your competitors, interest from your targeted audience, loyalty from your current customers, and residual advertising over the course of its availability to the public. You can develop applications for many different uses and purposes, opening up a world of opportunity for businesses who have yet to hit the iPhone’s application market. With the wide variety of ways to use iPhone applications, you can easily help your business to come closer to outranking your competition simply by offering your new application to your customers, and theirs! 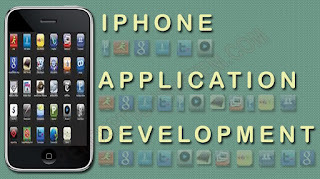 iPhone application development has become a big business, especially with corporate enterprises and game developers. 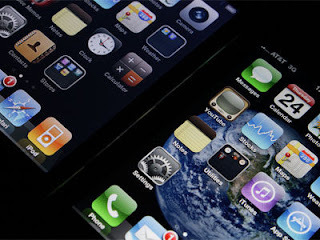 The iPhone application store is populated by a majority of iPhone users, all browsing for useful, fun, interesting, or necessary applications for their phone. Applications are able to help users multitask, easily locate items or information, provide entertainment and creativity, save them money, and of course many will make life much easier in general. Thus, iPhone users always want to download applications that they will find handy. They may decide to download a price comparison application while shopping, or a fun game while waiting in a doctor’s office. Either way, this could your application that’s being downloaded! Application development is beneficial to a business because it keeps you in touch with your users. For example an ecommerce store application can offer updates, sales information, coupons, and other important messages that you would like your customers to receive. These sort of applications should also offer other special features, such as special discounts or promotions for those who actively use the application. 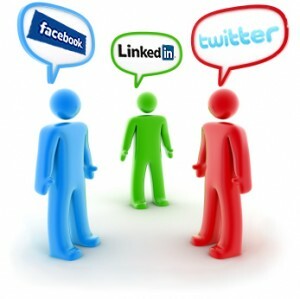 This would increase the usage and downloads of your application, improving its popularity with your targeted audience. This will offer you a lead in front of competitors, especially if they have yet to develop a custom application for themselves. You want to make your brand name the first one to come to mind when your customers are thinking of the services or products that your business offers. When your audience is capable of downloading your application to satisfy their needs, they are more likely to choose your business over your competitors’. 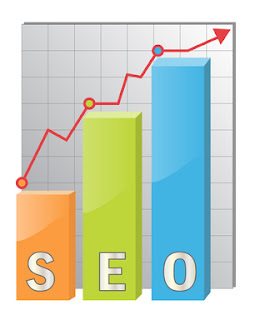 As you can easily see, this can be incredibly beneficial for profit, popularity, and business growth. Keeping this in mind, popular spread betting broker City Index allows its customers to access everything from its iPhone spread betting app and enables them to carry out operations right from their iPhone. Usually, many businesses will hire an application development business, or an independent application developer, to build their application for them. This is the most popular method, as developers are fully trained and educated in the development of applications, producing one that is professional and fully functional. Another less popular option is to develop the application yourself. This can be extremely complicated, as you would need to learn how to develop them, or become familiar with application development software. This can take more time than it may be worth, so many quickly go to hiring a developer instead. They can work with you to build a fully customized application for your business needs, so you can work on other important tasks. This post is contributed by our guest author who writes for City Index, a leading financial spread betting company. What is the use of a pen without ink, the same applies to camera without a battery. The feeling is almost the same because either ways both the ends go hand-in-hand. Over the years, thanks to the technological advancements in the field of cameras, we now have far better cameras having batteries, which don’t discharge soon. Now you can charge a battery for approximately 3-4 times before finally disposing it. Additionally once the battery is charged it would last for a longer interval. If you have decided to get a new camera, then don’t forget to get a charger for camera, as it would be the first you would need before you actually start taking pictures. The cameras which have been launched in the recent times, do not require the user to keep replacing the batteries, as they can be charged using a USB port. Generally experts recommend users to make the best use of charger for camera whenever possible. In case you lost the charger or it has been damaged due to any possible reason, you need to immediately contact the manufacturer and get a new one. You need to avoid using compatible chargers at the first place because they can potentially harm the functioning of the camera. Generally you would not be able to use the charger in the camera which is non-compatible but if you are able to use, then you are knowingly risking the life of your camera, which would be a bad deal because a charger for camera wouldn’t cost you much but the same doesn’t apply to camera. Additionally it would take far longer time to charge the camera. Always prefer the original batteries and chargers, as they would prolong the life of the camera. 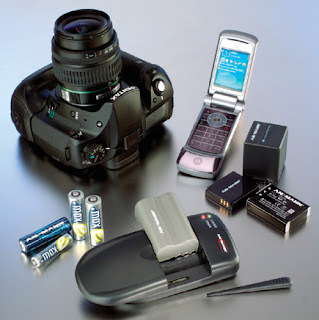 Most of the people are happy with their digital cameras but are always discontented when it comes to batteries, because it always runs out and they have to run pillar to post in order to charge them. However, if you start using high quality batteries, then you can be assured that the batteries won’t run out soon and you would be able to save lots of money in return. You would not have repeatedly save money or waste time in their purchase rather look for a charger and charge them when needed without any hassle. A charger for camera would not cost you much and moreover it will be the best friend of your camera and will come in use whenever your camera needs it. Regardless of the type of camera you are expecting to purchase, you must necessarily focus on its charger and batteries. This post is contributed by our guest poster. He writes for Digiquick. Check out Digiquick for all the latest camera and camcorder batteries. AirPrint is one of the most attention seeking features of the iPad and why not, afterall, it lets you print directly from your iPad, iPhone and iPad with the help of a printer that has WiFi connectivity without the use of any other app or software. Not all printers can be use for this purpose as there are certain specifications that the printer needs to have to be compatible with the AirPrint feature. The list of the printers that work with the iPad has been mentioned below. A printer with a futuristic design that will make your knees go weak, the HP Photosmart eStation is compact and chic. The print produces photos of unimaginable quality and it doubles as an automatic duplexer as well as a fax machine. This is not all as you can control the printer with the touchscreen controller that comes along with it. This controller is detachable and can function as a separate tablet when not used with the printer. The only downside of the printer is that there is no slot for a USB key. 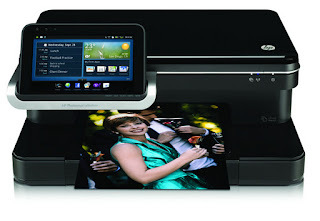 Another printer from HP that is not as good looking as the previous one that I mentioned but it is an ideal performer. The connectivity options of the printer are impeccable and there is an 8.9 inch touchscreen for the purpose of controlling the printer. There is a paper tray as well as a photo input tray. The note worthy feature of the printer is that it uses high yield cartridges and thus the ink consumption is low and in case they do get over you can get the cartridges at discounted rated by using the 4inkjets coupon codes and the 123inkjet coupon. The only thing that I found to be a little disheartening is that the printer does not have the auto duplex option. HP Photosmart Premium e-All-in-One. The printer looks decent and is petite as well. The output is of a very high quality and when this is combined along with the WiFi then you can get anything in the form of a hard copy. This is the enhanced version of the previous model that I reviewed and thus it has the auto duplexing feature as well. The user interface of the printer is not really easy to use and this just makes everything go kaput. Overall, the printer is above average, but they need to make it more user friendly. This model of HP is not just a printer as it performs additional functions in the form of copying and scanning. The speed of the output is commendable, but there are a few lows with respect to this printer, the most important being that it does not have a good paper capacity tray. Thus it needs refilling at regular intervals. Apart from this, the WiFi connectivity is good and so are the other connectivity options. The printer is best suited for personal or home use and can be avoided by big houses. The LaserPro CP1525 is a laser printer that is sure to stun you with its beauty and performance. It has commendable wireless as well as wired connectivity. The printer produces high quality print outs and has a single sheet manual bypass tray that speaks volumes for it. It is slightly pricey and the negative is that it is that the printing process is painfully slow. The best part of these printers is not just the fact that they are compatible with the iPad, but also that the cost of each print is reduced as you can get the cartridges for the same at discounted rates if you make use of the 4inkjets coupon codes or the 123inkjet coupon that is present on the internet. Linda loves writing about technology. 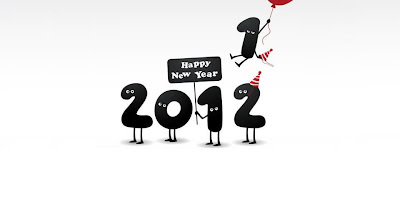 With the clock striking 12 o'clock on the 31st December you start expressing you joy and happiness to welcome New Year. You convey New Year wishes not only to your loved ones but to every person to meet on this eve. Make your New Year wishing in unique way by sending quotes, proverbs and poems to all your near and dear ones. Quotes on New Year are the most popular and classic way to convey your happiness. Here are some very popular New Year messages for you to add with the gifts and greetings. When you're lonely, I wish you Love! When you're down, I wish you Joy! When you're troubled, I wish you Peace! When things seem empty, I wish you Hope! Have a Happy New Year! There are smartphoneapps for everything these days. This Christmas season take advantage of holiday apps to help you get and stay organized and maybe have a little fun while you’re doing it. Santa Tracker—This app has an Advent Calendar, Countdown feature, Where is Santa? locator, Sightings (kind of like a newsfeed), Santa’s Blog, News, and Send A Letter (email rather) all for $.99. This is a really cute app for you and your kids to play with during the weeks leading up to the big day. Grinchmas!—This is another great app to get if you want to get into the Christmas spirit with your kids. It’s a game where the user plays the role of The Grinch from Dr. Suess’ Who-Ville. Choose to be the ‘Mean Grinch’ and silence the Whos that are making too much noise by throwing snowballs at the village or choose to be the ‘Merry Grinch’ and throw presents into Who-Ville to make the Grinch’s heart grow bigger. Shopkick—Turn on this app before you physically enter one of the stores affiliated with the app (Best Buy, Old Navy, Crate & Barrel, American Eagle, Target, West Elm, Sports Authority and more) and you will be rewarded in just a few seconds. They’ll send you exclusive deals for those stores and you can collect rewards by scanning certain featured barcodes at different stores in the US. The Christmas List—For help organizing your Christmas list this year spend the $.99 and take advantage of this app. You can organize by store and person, it tracks your budget and the shopping days left. You can view gifts by store and keep details on gifts like notes, priority, price, store and status. Gift Ideas—Is the perfect app for people who struggle to find the right gifts for people. Through the use of age, relation, personality and search filters, Gift Ideas produces a list of suggestions that is likely to be very suitable. FlightAware—Never go to the airport early or unnecessarily again. This app has up-to-date airport and flight information. Check for delayed and cancelled flights before you brave traffic to the airport. Let the apps do the work for you so you can relax and enjoy the snow this holiday season. With so many things to take care of during the busy holidays why not get a little help from an app or 6.